It’s been 11 years, but Coles Group Limited (ASX:COL) finally returned yesterday to the ASX, trading at $12.90 with an $18 billion market value during a week in which the broader market suffered sharp falls after a global sell-off. We saw a wave of panic selling across European, Asian and Australian markets, with the local sharemarket falling 1.3% on the day Coles relisted. Down, down, prices were certainly down. However, Coles was happy to be back on the boards as its own entity, following a decision from the Supreme Court of Western Australia on Monday to approve a Wesfarmers shareholder vote in favour of the demerger. Coles was de-listed following Wesfarmers’ acquisition of the Coles Group in 2007. Shares in Coles began trading on the ASX on a deferred-settlement basis. “We are pleased to be joining the ASX under our own name,” said Coles Chairman, James Graham. Coles CEO, Steven Cain, said the past 11 years with Wesfarmers had seen Coles transform into a world-class supermarket retailer. “Our 115,000 team members can take enormous pride that their company is now listed alongside some of the largest and most recognised businesses in Australia. Coles shares will be transferred to eligible shareholders on 28 November and the shares will trade on a normal settlement basis from 29 November. In comparison, Wesfarmers (ASX:WES) shares fell by close to 30% to reflect the demerger. Analysts had predicted a $13-14 range for the newly listed company and expect Coles to trade at a discount of between 5% and 15% to arch rival, Woolworths (ASX:WOW), due to challenges including declining sales momentum and a falling profit from its retail fuel business. 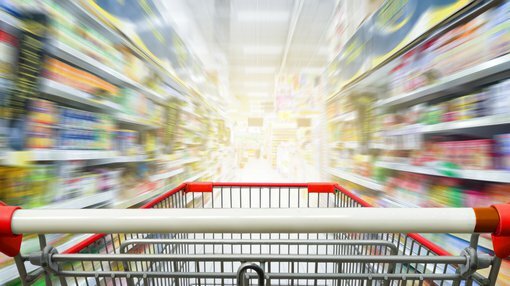 Bank of America Merrill Lynch analyst, David Errington, released a research note on the day of listing, stating that due to lower fuel profits and higher labour costs, “Coles looks to have lost sales growth momentum in the past four weeks”, which he says is a concern coming into Christmas. This, of course may be offset by the sale of multi-use shopping bags, which is sure to rise over the festive period. Coles and Woolworths stand to make roughly $71 million in gross profit by replacing free lightweight plastic bags with heavier 15 cent options. That’s a lot of bags to put the public money in. Coles or Wesfarmers: What will be the effect of the demerger?